All sessions of the two-day educational program will be held at Duke University School of Law situated on Duke University’s picturesque West Campus, on the southwest corner of Science Drive and Towerview Road. For your convenience a block of rooms has been reserved at The Washington Duke Inn at a reduced rate of $204 plus tax per night. To book in the block please contact the Inn at (800) 443-3853 or (919) 490-0999; ask for reservations; once connected to an agent let them know that you would like to book a room in block #743781. 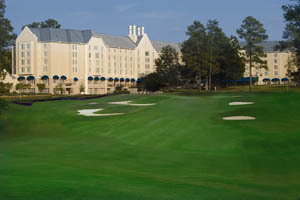 You may also book on line through the Washington Duke Inn website. Reservations must be made by September 10, 2018 to receive the conference rate. On the first page you can click on the dates you want to reserve, in the box, type in the dates of the event. On the next page you will see a spot for Groups, Click on Groups. You will then be asked for an attendee code, type in 664983 in that box, this will take you to the block and you will be able to make a reservation. Complimentary shuttle service will be provided to and from the Law School before and after each conference day.